Grilled and steamed, butter or chilli: find out where to eat our favourite versions of this coveted crustacean. 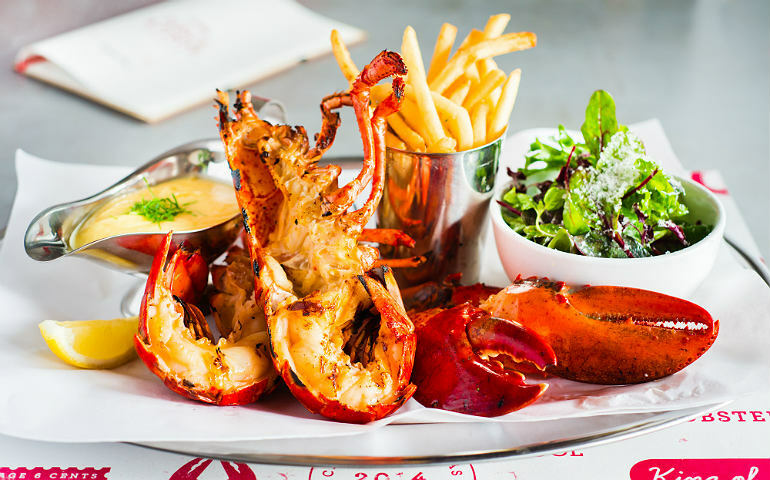 All the favourites from the Mayfair original are found in their first Southeast Asian outlet, such as the hefty beef-and-lobster B&L Burger, fresh steamed or grilled Canadian lobster with lemon and garlic butter, and chunky chilled lobster meat in toasted brioche rolls. Local flavour exists too with the Chilli Lobster – think lobster in chilli crab sauce. The catch? It’s all the way up in Genting Highlands’ SkyAvenue…but now you know where to celebrate when you win big at roulette. Read our full review here. You only visit Pince & Pints for one thing: lobster. The casually elegant Bangsar restaurant serves up fresh Boston, Maine and Canadian lobster in five ways: lobster roll, chilli lobster with mantou (fried buns), steamed or grilled whole live lobster and lobster noodles (exclusive to the KL outlet). We highly recommend the grilled lobster with herbed butter and the lobster roll for something light yet indulgent. Paired with cocktails, artisanal beers and boutique wines, this makes for a real treat. Read the full review here. Wet-aged Wagyu and Angus steaks sit side-by-side with live Canadian lobster dishes at this Desa Sri Hartamas outlet. 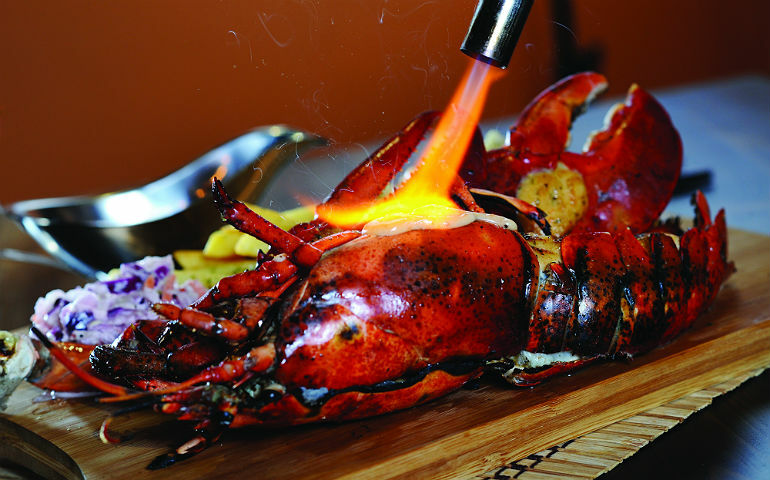 Favourites include the Truffle Thermidor Grilled Lobster and the S&L Signature Flaming Lobster. You can even get a lobster roll topped with 60g of pan-seared foie gras, or pan-seared live lobster tossed with pasta and homemade sauce. If you simply can’t choose, surf ‘n turf platters combine a rib-eye steak with a grilled half lobster for the best of both worlds. 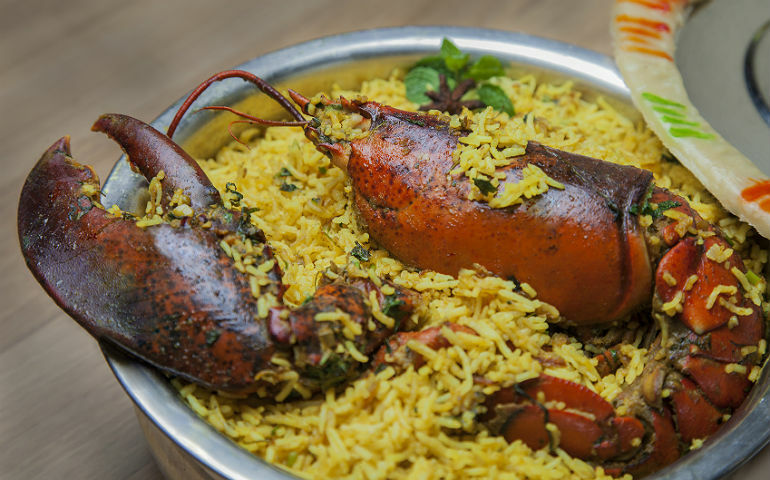 You’re probably familiar with yellow nasi biryani, but have you ever tried it…with lobster? The Lobster Biryani is one of Fierce Curry House’s signature dishes and must be ordered 24 hours in advance. It comes in a giant pot and can easily feed three to four, if not more. The briny essence of the lobster seeps into the rice to give it a unique flavour – no extra curry required here. Besides the Bangsar restaurant, this dish is also served in Fierce Curry House’s sister outlet in Publika: Fiercer. 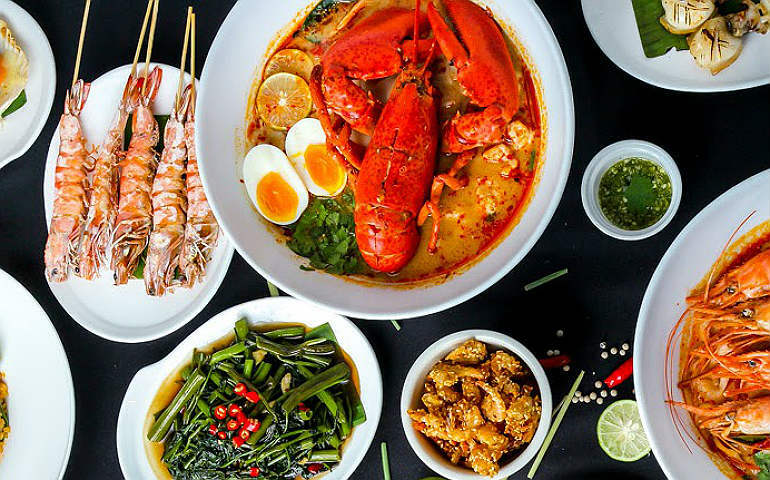 Take that seafood tom yum to another level with the Lobbee Combo: a huge bowl of red tom yum with king crab legs, salmon, soft-boiled eggs, squid, mussels and of course: a giant red lobster. The gigantic bowl can be comfortably shared by four and includes a choice of Thai instant noodles, vermicelli and kuey teow cooked within the broth. Perfect for those cold, rainy days – but we suggest not wearing white when you order this.